Mint Design has the ability to perform GTAW (TIG), GMAW (MIG) and SMAW (Stick) welding processes in-house. 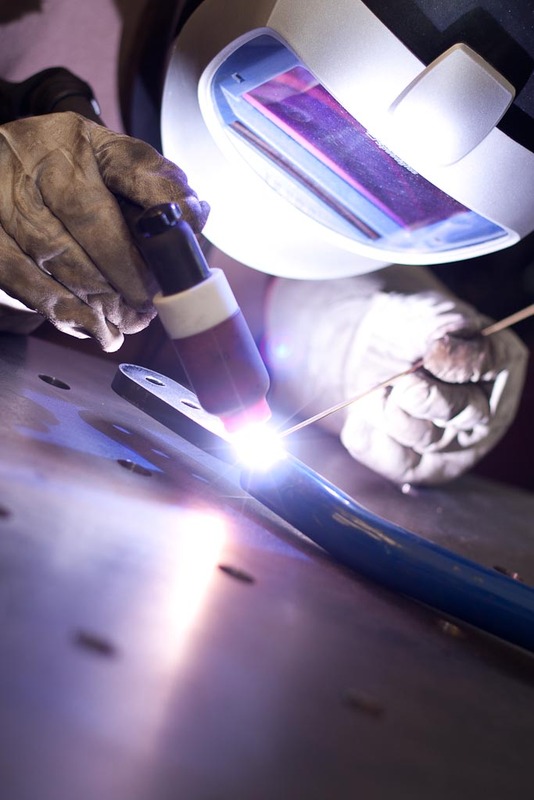 However to produce top quality parts for our clients we primarily only do TIG welding, this allows us to produce high quality welds on parts constructed in mild steel, stainless steel and aluminum. 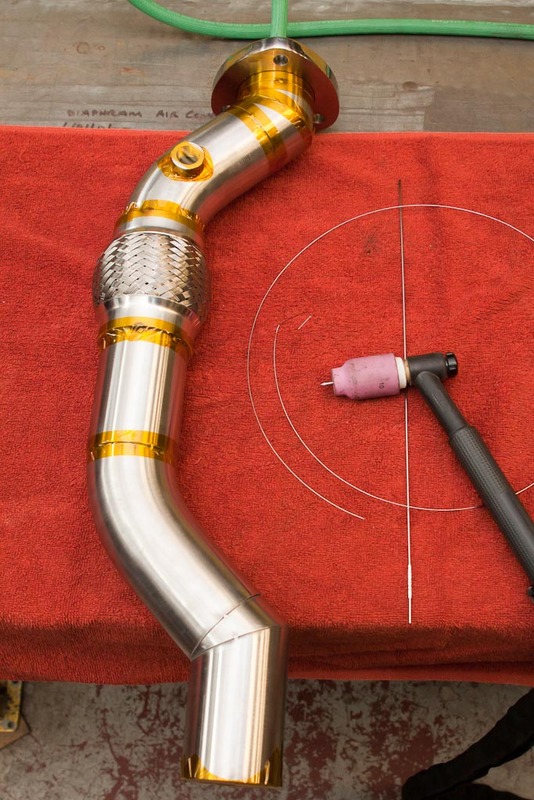 The parts produced vary from high-end exhaust systems to complicated mechanical assemblies. Depending on the application and the quality of work required we have the ability to back purge weldments to ensure there is no oxidization at the root of the weld. This allows for a high quality weld with 100% penetration to ensure structural quality and high quality appearance. We also have Solar Flux and weld backing tape in stock to be used when back purging isn’t possible. 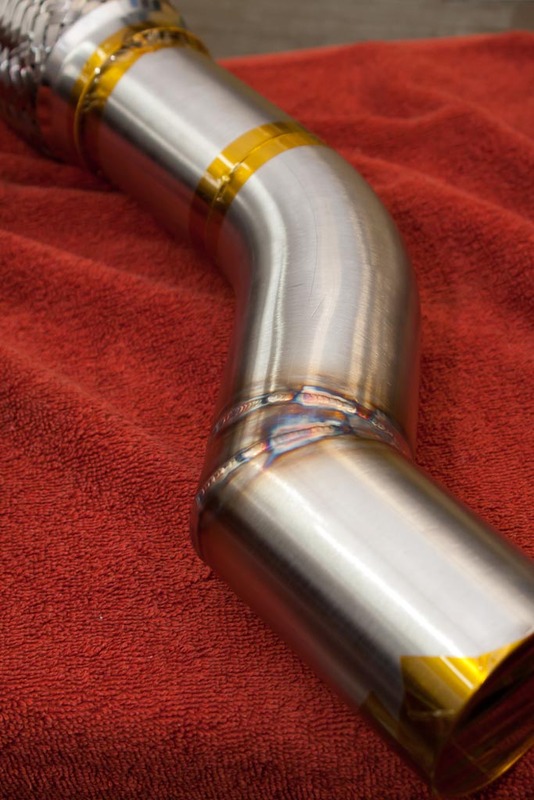 Here is an example of a stainless steel mid pipe prepped for welding. It has all the joints not immediately being welded to be taped off with high temperature resistant polyimide tape. This allows for an internal chamber to be filled with an inert gas and reduce the waste of gas from leaking out of joints. This allows for an extremely high quality weld that is protected on both sides with inert gas while welding. The need for backpurging and taping of joints is not necessary for all weldments, but it does allows for of top notch quality.